A child’s mind is a sponge from birth. Research shows that children develop quickly in the early years, which is why early childhood programs like Head Start are critical to preparing children to succeed in school and in life. 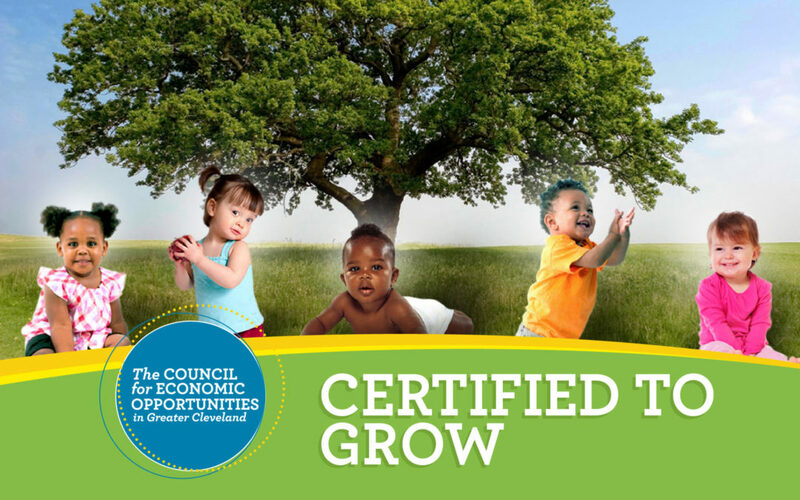 The hallmark of the Council for Economic Opportunities in Greater Cleveland’s (CEOGC) Head Start program is the delivery of a high quality experience for children from birth to 5 years of age. At CEOGC, we are privileged to be the first Head Start program in Ohio to have a Certified Nature Explore Outdoor Classroom. The outdoor classroom is currently under construction at our Louis Stokes Head Start Center in the Lee-Harvard area and will allow our students to learn about nature and our part in preserving it while exploring their environment through hands-on activities. Certified Nature Explore Classrooms have demonstrated a deep commitment to connecting children with nature. Each one is unique in size, setting and structure, but they have one thing in common: they bring a sense of wonder to children’s lives. Certified Nature Explore Classrooms enhance the physical environment and add natural beauty to the surrounding area. 1) Well-designed outdoor space — Provide evidence that principles from the Learning with Nature Idea Book were used in the design of new spaces, or the redesign of existing spaces. For renewal, provide evidence of annual maintenance. 2) Staff development — Provide evidence that staff have attended a full-length Nature Explore Workshop. For renewal, provide evidence of annual professional development relating to nature education. 3) Family involvement — Provide evidence that activities or materials designed to increase family awareness and involvement in nature education for young children are provided regularly. We are thrilled to add a certified outdoor classroom to our educational offerings and to be the first Head Start program in Ohio to do so! We welcome you to enroll your child in our Head Start program so that they may explore nature with us! For enrollment information, please click here, or call our recruitment hotline at (216) 589-9922.